Prairie Story: Prairie Story Recipe Swap Thursday! Prairie Story Recipe Swap Thursday! 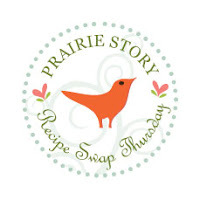 I'm very excited to be announcing that EVERY Thursday at Prairie Story there will be a Recipe Swap!! 1) Mark your calendars to visit Prairie Story every Thursday. 2) If you have a recipe you would like to swap, link directly to your post. 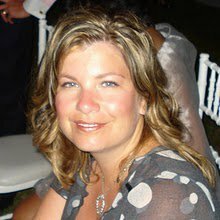 If you do not have a blog post please swap your recipe in the Comments section. 3) Please include a link back to Prairie Story so everyone can see all the delicious recipes. Feel free to grab the Prairie Story Recipe Swap Thursday badge. 4) Then the best part... view all the other recipes swapped! I hope you can make it to my Prairie Story Recipe Swap EVERY Thursday!! Do you have the html code for your button? I don't know how to put it on my sidebar otherwise. Oh this sounds like fun! Looking forward to joining in! I'll be back Thursday for the fun! Thanks for stopping by!